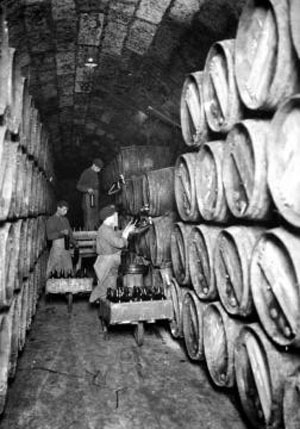 This history of winemaking at Bodegas Marques de Riscal began in 1858 when Don Guillermo Hurtado de Amézaga – the original Marqués de Riscal – who was a diplomat, journalist, free-thinker, resident of Bordeaux since 1836 and owner of vineyards plus a winery on the Torrea Estate (Elciego), was asked by the Diputación Foral de Álava to hire a French wine expert in order to train local producers on the winemaking techniques typically used in the Médoc. 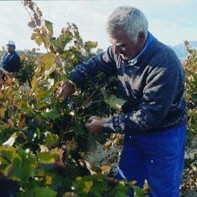 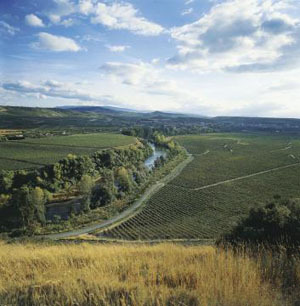 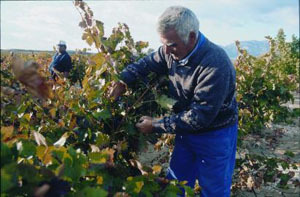 Don Camilo hired Jean Pineau, a winemaker at Château Lanessan, on behalf of the Diputación, and sent “9,000 vines of the highest quality” (including the finest Cabernet Sauvignon, Merlot, Malbec and Pinot Noir) to their Rioja Alavesa property, where until that time only Tempranillo and Graciano had been grown. 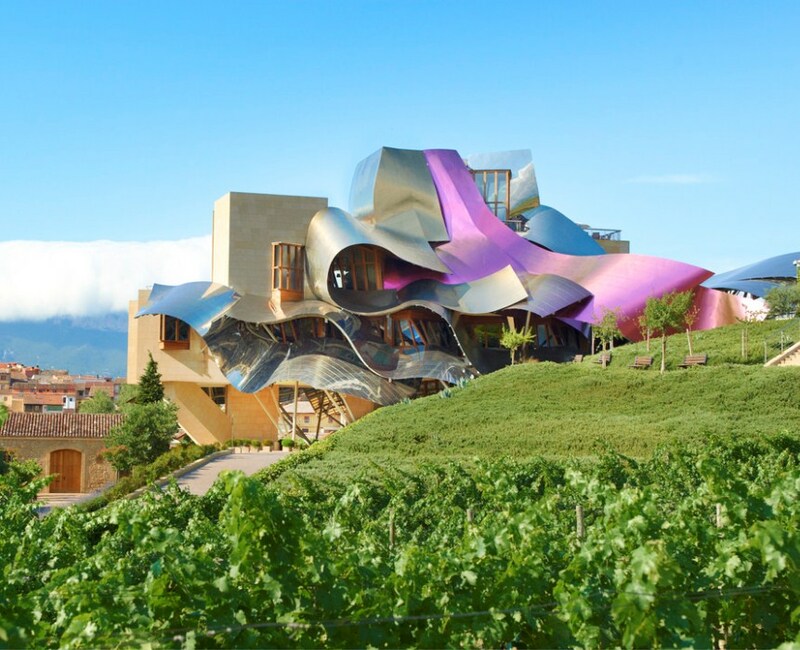 Today many of these same vines, which now stretch across approximately 1,300 hectares, are used for making the wines of Bodegas Marqués de Riscal, which is still located within the famous town of Elciego. 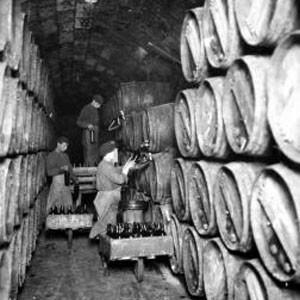 From the building of the winery’s first cellar in 1858 (which now houses the winery’s impressive wine library comprising of vintages made over 149 years ago), the winery quickly began to grow in size and notoriety. 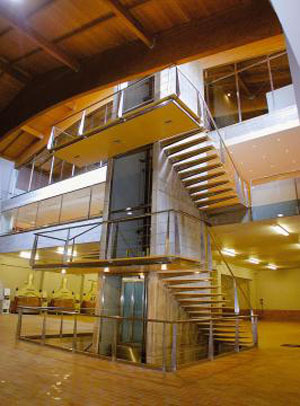 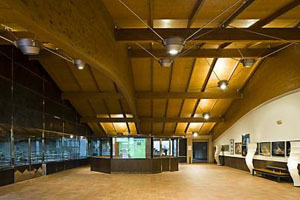 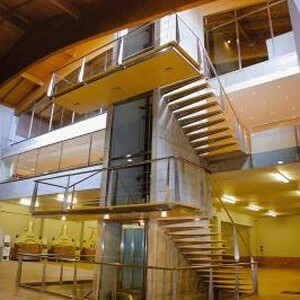 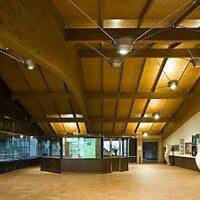 New additions were made to the original winery in 1883, 1968 and again in 2000. 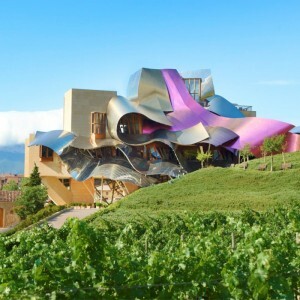 Perhaps the most impressive renovation to the modern wine consumer’s eye was the addition that was made in 2000, which includes a Luxury Collection Hotel designed and built by Frank Gehry, one of the world’s most renowned architects and author of works of art like the Gugenheim Muesum in Bilbao, the Walt Disney Concert Hall and the Richard B. Fischer Center for the Performing Arts.